Green emerald gem is a type of beryl. Originally natural emerald is colorless, it acquires color due to the presence in its composition of certain trace elements. Chrome and occasionally vanadium gives the mineral green tint. The richest deposits of stone are in India, Colombia, USA, Pakistan, Australia, Zimbabwe and Zambia. Minerals have different colors and features depending on where they are mining. In Russia, the stone is mined in the Urals. It is considered a good quality, but not the best. 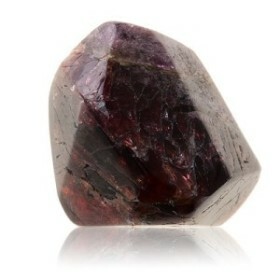 Colombian gem is recognized as the most popular. This mineral is revered in many nations as a sign of well-being and prosperity. It is credited with many strong magical properties. And some healing abilities of the mineral are proven scientifically. “Green Stone” – is a literal translation of the name of the mineral from the Greek. 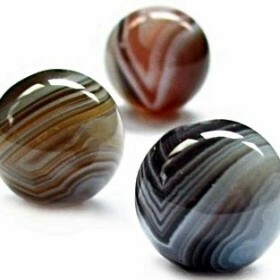 Beautiful gem has long been fascinated by the human eye and was popular at all times. Strong mystical and healing properties of the mineral, as well as the incomparable beauty, allowed it to become the most revered gem in many countries. It is particularly appreciated in the Muslim world, because green shade is considered the color belonging to Islam. In the Aztecs and Incas’ days emerald belonged to the group of the sacred minerals. It was attributed the various mystical characteristics. Stone was loved, worshiped. Gem was presented as a sign of love and loyalty. It was thought that it guaranteed happiness and good luck to the owner. Women, who had that mineral, claimed that birth was painless and quick. The oldest finds of stone have been made in the area of the Red Sea. Even the Egyptian pharaohs began to be developed its fields. And today they are almost depleted. The world’s largest emerald weighs 217.8 carats. It was found more than three hundred years ago. 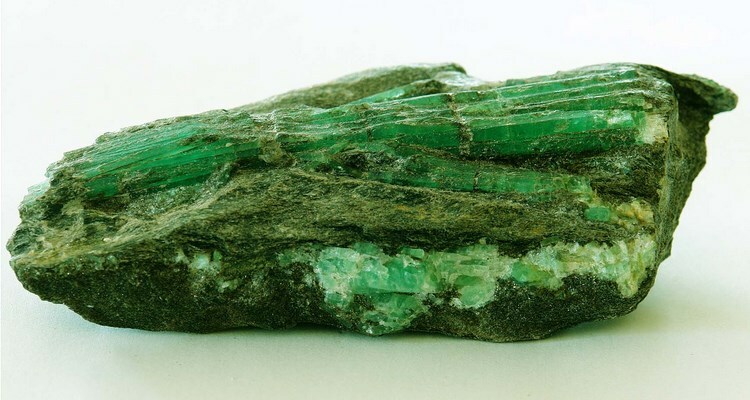 Modern technologies allow creating an synthetic emerald, which according to its characteristics doesn’t differ from the natural. The naked eye can not notice differences, because a synthesized mineral is identical to natural both in composition and other parameters. Now, as before, this gem is used to create jewelry. Beautiful headsets, rings, earrings and many more are accepted to give beloved women as a sign of great love and boundless loyalty. Many loving couples exchange decorations with such a mineral to their love to last forever. 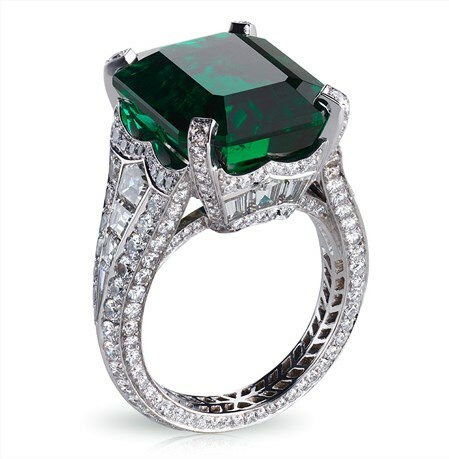 Typically, emerald has green color. Grass-green stones of bright shade are mined in Colombia. Also green gems Trapiche are produced in this country. This species has a distinctive sign – six amazingly beautiful rays depart from the center of the crystal. Zambian stone is transparent. These minerals are also known for its clean green tint. Gems are darker than Colombian. Zambian stones may have a bluish tinge. In Zimbabwe, the most common is considered a gem having the main distinguishing sign – the presence of yellow shade. An amazing combination of green and yellow is appreciated very much in the jewelry industry. Emerald often has many microscopic cracks. Even despite its hardness, this mineral can easily break. Therefore, it is required to adhere to strict rules dealing with emerald in the manufacture of jewelry. The superior properties of this mineral allow attributing it to the gems of the first-class on a par with diamonds, rubies, sapphires, and some others. Many large green emeralds value are sold at a price much higher than diamonds. Beautiful gem has at its disposal an inexhaustible supply of medicinal and mystical functions. The unique properties of emerald allow people to use it to their advantage for more than one millennium. It is believed that the mineral cures for various diseases. The main “field” of its activity can be considered as stomach, bladder, head and joints. Often this stone is used for the purification of drinking water: it is required to hold the mineral in it for at least 1 hour to purify one glass of liquid. In ancient times, they successfully treated even epilepsy with that gem. 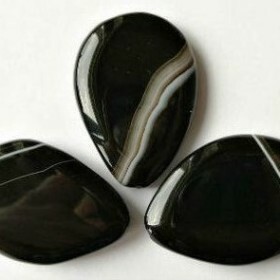 Strong gem properties, according to some sources, coped excellently with diseases such as night blindness and eyesore. Until now many healers advise to buy mineral for getting rid of nightmares. It is believed that it is useful for insomnia and other violations of sleep processes and wakefulness. In the old days, people even hung the stone at the head of the bed to protect themselves or children from nightmares and bad thoughts. Now this is not practiced but belief remains. Powerful magical properties of the mineral allow it to maintain its reputation as a good assistant during different life troubles. This gem as if re-educates the owner: helps to keep faithful to his spouse, protects him from committing crimes and following the wrong path. Other magical functions of the mineral are its ability to bring good luck and prosperity to the owner. It does not tolerate evil and duplicitous people, attracting to them serious illnesses and failures. But mineral is designed to protect from all harm pure in heart owners. As a sign of its loyalty to a kind master gem protects himself and his family and promotes birth of healthy children. Wizards of all nations use this stone in the occult purposes. They go to the contact with the deceased and unravel many mysteries with its help. Thus, the gem possibilities are almost endless. This interesting stone can serve as an excellent talisman for all those involved in creative activities. It helps to express better themselves in art and generally favors creative people. In addition, the emerald effects positively on anyone’s well-being who possesses it. You need to feel it because it’s almost impossible to explain in words. But it is no doubt the fact that this gem is able to soothe the nerves. 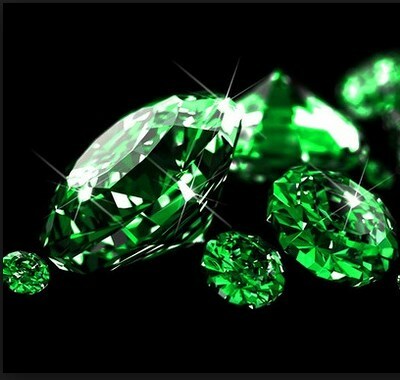 Such properties can be observed in all green stones. No matter what sign of the zodiac you belong, remember: emeralds love good and honest people. Those who live in odds with their own conscience will not be able to wear this mineral as a mascot, even if horoscope allows them. Mineral is related to Virgo, Gemini and Sagittarius according to the zodiac signs. Geminies acquire so missing them composure with its help. They begin to navigate better in difficult situations, solve easier problems and difficulties. Sagittarians wear the stone rather for self-esteem. Eternal warriors, they tend to be superior to everybody, but are not always succeed. This stone would be the best assistant to get rid of worries about unrealistic expectations. Emeralds have a special meaning for Virgos. It can be said their true talisman. Those who are born in August and September begin to control better their weaknesses and do not give in to bad habits with help of the mineral. Prone to despair and frustration Virgos start to look more optimistic at the world and enjoy life in all its fullness with the acquisition of green gem. Bright, noble and very principal emerald became the conqueror of hearts of millions of our contemporaries and ancestors. It continues to please the eye with its magical and mesmerizing glow, incomparable to anything else.